Do you know the exact amount you owe and to whom? Most people don’t. Even if you know how much you have borrowed, you may not have the whole story. The lender may have sold your debt to another company, or passed it on to a collection agency. Or you may have a debt on your credit report that you do not recognize at all. 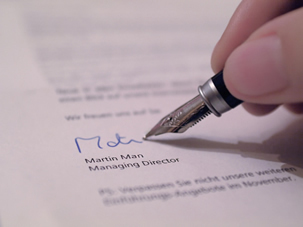 You can get all of the information about your debts by writing a debt verification letter to the lender. After that, the lender has 30 days to reply. If they do not comply with your request, they cannot collect on their debt. This letter is in response to your company’s entry on my credit report. This is not a refusal to pay, but rather a request for a validation of this debt, in accordance to the Fair Debt Collection Practices Act, 15 USC 1692g Sec. 809 (b). I am hereby disputing your claim. Please note that this is NOT a request for a verification of my mailing address, but a request for a validation of the debt, reference number [#]. If you fail to respond to this request within 30 days of receipt, all references to this debt must be deleted from my credit reports, and you may not collect on this debt. If it is found that you have reported false information to any of the credit bureaus, it would constitute fraud under Federal and State Laws. Once you have provided me with all of the information listed above, it will take me up to 30 days to verify it. During this time, I demand that you cease any attempts to collect the debt. The standard debt verification letter can be modified depending on whether you are addressing your lender, or a collection agency. Fill in all of the necessary information, including your name, address and reference number. Then remove the items that do not apply from the list of requested information. Request that the creditor not contact you, either in person or by phone, until they have verified your debt. Failure to do so would constitute harassment. Explain that you will not hesitate to take the creditor to court for reporting inaccurate credit information to the credit bureaus. If you have the same name as another person living at the same address, explain exactly who you are. Inform the creditor that it is illegal for them to begin debt collection until they have notified you of the debt. Request that all communication be done in writing. It’s crucial that you keep a meticulous record of everything you send and receive.